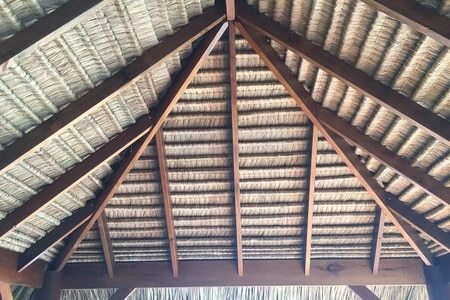 Supply and install (or just supply) the best quality Bali Alang Alang Thatching Grass available, onto most existing structures, or can just supply to the D.I.Y enthusiast or to the Trade for D.I.Y Installation. Give full instructions and even give hands on training at their warehouse in Osborne Park. 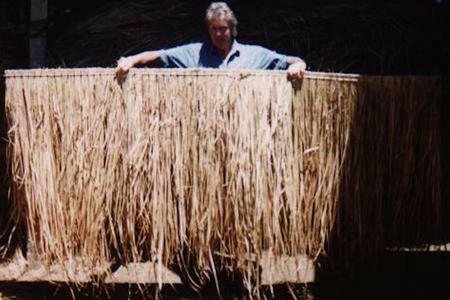 Mr Thatch has been importing the Bali Alang Alang Thatching Grass for 23 Years. 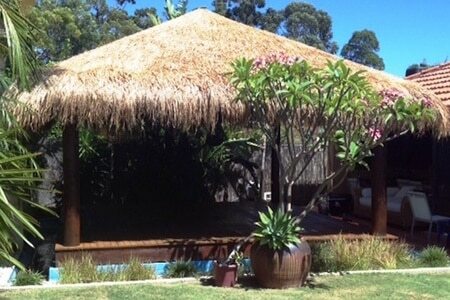 Only the finest, cleanest, fumigated grass is supplied or supplied and installed. 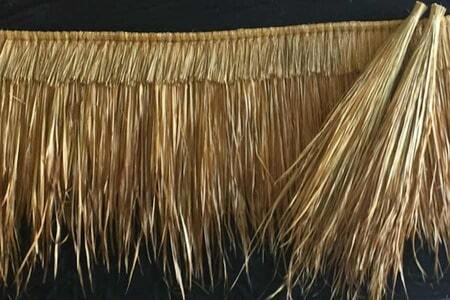 Netting is also available, imperitive for the Perth high winds. Lasts years longer. Mr Thatch imports the very best fumigated grass available out of Indonesia. 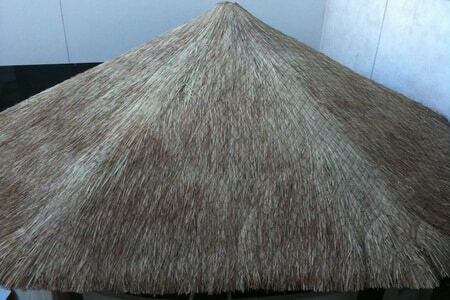 Fire retardant Bali Thatching grass is now available. The best quality string, cream colour for an uncluttered superior finish. 100% Waterproof when installed correctly. Up to 10 degrees cooler underneath than most structures. Mr Thatch has had the same supplier for 20 years. Full instructions given for a successful, professional D.I.Y Installation. Best pricing, sales and after sales support available. Hi Jacqui. 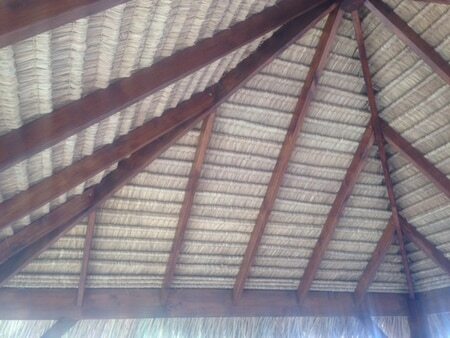 Thanks for the great job on the thatching. Hi Jacqui. 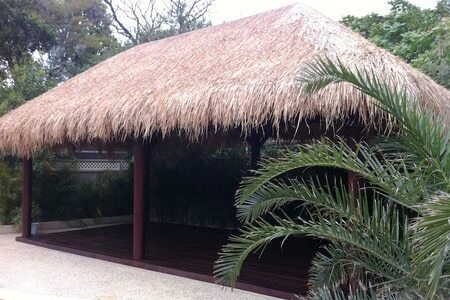 The finished thatch on our gazebo looks just lovely, I am thrilled with it. Many thanks to Gary for such a good job. 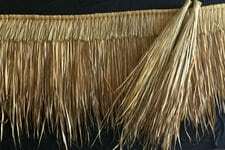 Just a quick note to thank you for the great service I received when I bought some thatched roofing off you for my Gazebo. The gazebo has come up great, thanks.